Letterpress printed at San Francisco Center for the Book on 170 GSM Velata Ivory. The body text is hand-set 12 point News Gothic & Palatino. Decorative text and titles include Bulmer, Futura, Garamond, Onyx & various wooden type. In 1946, George Orwell wrote an essay for the Evening Standard of just over a thousand words entitled "A Nice Cup of Tea." It's a 10 point treatise on how to properly brew a cup of traditional English tea. 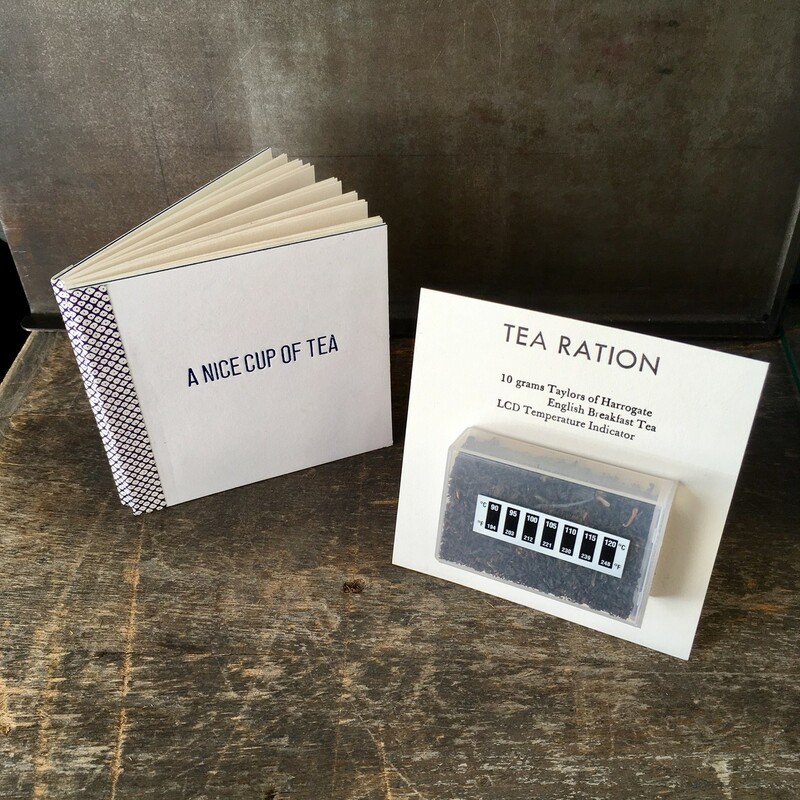 This book is a sewn modified drum leaf and includes a ration of tea and an LCD temperature strip to ensure the water is hot enough . The book and equipment serve as a portable kit, just add a teacup or pot. Brian wandered into SFCB several years ago and continues to haunt the place. He completed both the bookbinding and letterpress core programs as well as several of the summer historic structure classes. He began vending his excess production and practice pieces at conventions a few years ago. He's lived in San Francisco for more than 20 years, having arrived shortly after completing his MFA at the University of Texas at Austin.